The Dayne Ogilvie Prize is a $4,000 annual award open to new writers who identify as lesbian, gay, bisexual, transgender or queer and whose published work "demonstrates great literary promise." 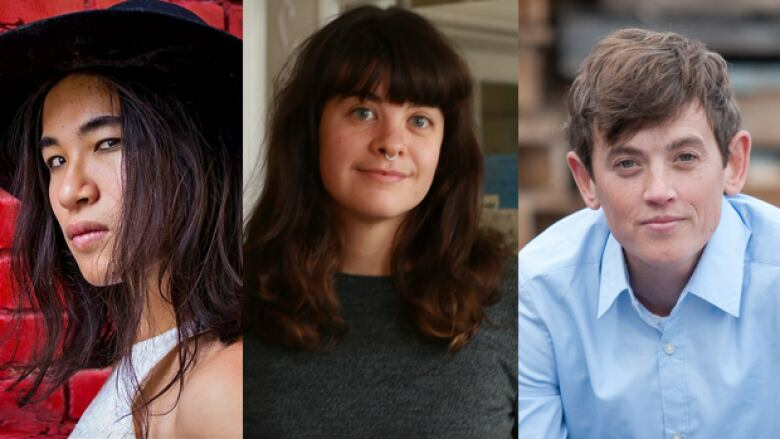 Three writers have been shortlisted for the Dayne Ogilvie Prize, a $4,000 annual award open to new writers who identify as lesbian, gay, bisexual, transgender or queer and whose published work "demonstrates great literary promise." Toronto poet, performance artist and psychotherapist Kai Cheng Thom recently published her poetry collection a place called No Homeland and authored the novel Fierce Femmes and Notorious Liars. Short story writer Eva Crocker recently released her collection Barrelling Forward, the manuscript of which was shortlisted for the 2015 Writers' Alliance of Newfoundland and Labrador's Fresh Fish Award for Emerging Writers. Rounding out the shortlist is Ali Blythe, editor-in-chief of the Claremont Review. The Vancouver poet's collection Twoism is also nominated for the Dorothy Livesay Poetry Prize. The winner will be selected by jurors Jane Eaton Hamilton, Elio Iannacci and Trish Salah and will be announced on June 3, 2017. Leah Horlick was named the 2016 winner. Other past recipients include Zoe Whittall, Amber Dawn and Farzana Doctor.